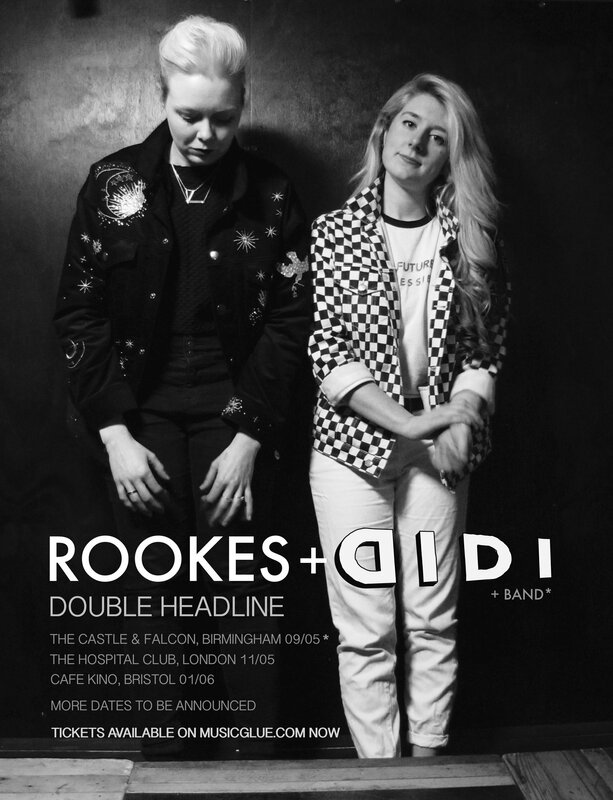 Having played a one-off show together in December 2017, DIDI and ROOKES, two rising indie powerhouses are hitting the road together for what promises to be an unforgettable 2018 Spring Tour. Hot on the heels of her appearance in the acclaimed BBC show ‘Queer Britain’ and the release of her debut single ‘The Heel of My Hand’, Rookes aims to bring the full force of her multi-instrumental skill, compelling song-writing and powerful voice to every live performance. ROOKES uses Ableton and Novation’s Launchpad technology to trigger samples in her live shows, specialising in synchronising with organic and digital recordings captured/ developed via iOS devices (as well as using live instruments and looping). For more information about DIDI and ROOKES please visit their official websites.